Actionable Integration: Altiris is designed to help alleviate the challenge of real-time, automated request fulfillment. The current online consumer shopping experience sets an expectation of immediate delivery upon request. However, most IT organization lack the automation and integration to meet these expectations; instead, they rely upon manual action to fulfill the employee's request. 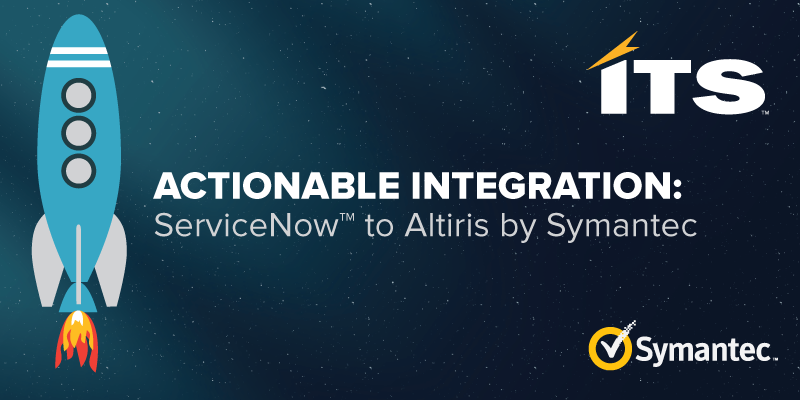 AI: Altiris offers a solution that solves this issue with an actionable integration between ServiceNow and Altiris. This integration allows for the import of Altiris Configuration Item data into ServiceNow as well as the automation of Altiris tasks called from ServiceNow. The integration is compatible with Altiris. *Subscription includes basic implementation and support. Learn more at the ServiceNow store. Leverage our deep product knowledge combined and Productive IT framework to mature your solutions in a way that avoids pitfalls, saves money, and reduces risk.